This past January warmed up, unlike most that came before. It brought about a feeling of Spring long before we will officially feel Spring weather on a regular basis. 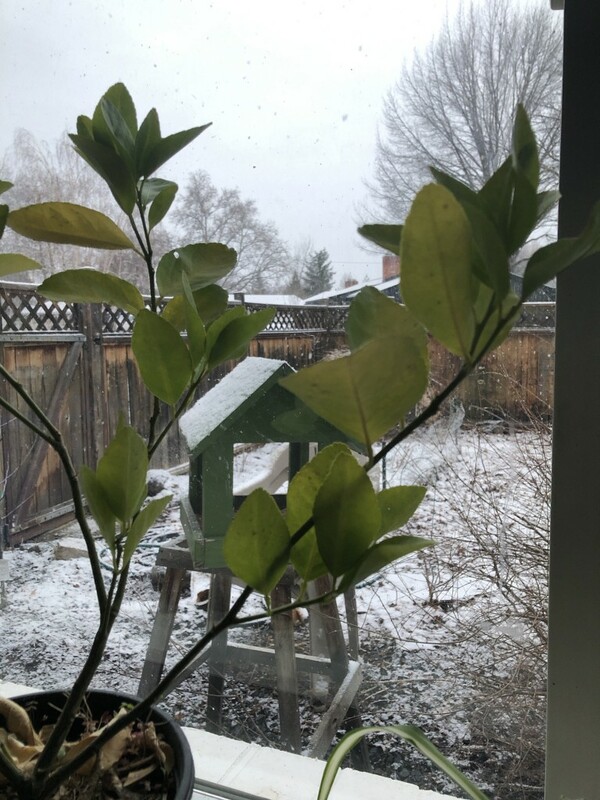 Just as we began to enjoy the warmth, the sunshine and noticing the plants around us budding, the snow came. Several areas across the United States were hit with February snow, something that is not the norm for many areas. Here in Boise we have received several days with a light dusting. It isn’t long-lasting, often melting before the day ends, but the timing feels odd. It is February and I am ready for Spring. The Winter weather sends me retreating for warmer clothes and warm fires but my body senses a change in season coming. My body longingly dreams of Spring greens. As I menu plan, I start to think of all of the wonderful things to come with fresh herbs. I start to crave the bitterness of dandelion greens, nutty arugula and crisp cold weather spinach. I get spoiled by small amounts that come from the local farmers, savoring as much as possible for as long as possible. I am choosing to eat them raw and crisp rather than cooking them down into a sauce or sauté. The novelty will wear off I know. I will soon be flooded with so many options of bitter greens and early lettuce. Frisee, arugula, spinach, dandelion greens, mache, kale, and many more will flow onto my counter tops and spill out from my fridge. I will gladly add them to sautés, smoothies, sauces and more. But for now, I celebrate the seasonal change with salad. 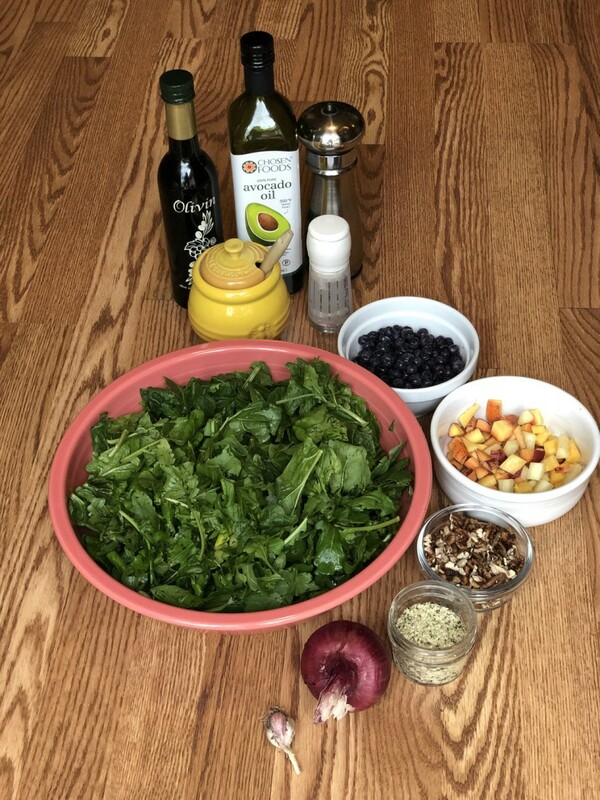 I listen to my cravings and choose to pair the arugula with fruit and chopped nuts. I am transitioning from the seasonal food of Winter and welcoming the new. It is a natural transition for our bodies to recognize the change in season in what begins to sound delicious to eat. We are in a sense coming out of “hibernation”. We are distancing ourselves from root- filled plates and squash dinners. Eating seasonally connects our body to the natural flow of the environment around us. It allows us to be in tune with the shift not just by noticing the weather but feeling grounded to the earth and noticing the change in what we desire to be on our dinner menu. Have you ever noticed how refreshing the crispness of early greens tastes after a long Winter filled with potatoes in every form? Don’t get me wrong, I am a potato fan and even cooked up a fair share of chocolate chip potato cookies for snacks and breakfasts. But now? Now I am ready to transition- to shed my Winter skin and burst into Spring with all of the greens the season has to offer. I walk through my yard, looking for every noticeable sign of change. The fruit trees are getting ready for Spring. Tiny seedlings are getting ready to poke through the rich earth. The chickens spend longer outside, enjoying tiny morsels they find among the grass. They are starting to lay more eggs, as they enjoy longer periods of sunlight. I too am soaking up the sun as often as I can, allowing it to reach down and warm my face. The cold air hits my cheeks as the sun beats down warming through the chill. The seasons are changing. Life is changing. New things are on the horizon. Rinse arugula and spinach and spin or pat dry. In a frying pan heat 1 tablespoon oil to medium heat. Chop onion and mince garlic. Add to the warm frying dish and sauté until onions are browning. Set aside to cool. In the meantime, chop carrots into ½ inch medallions, chop walnuts into small pieces and add both to the salad greens. Over top add hemp hearts, blueberries and cooled onion and garlic. 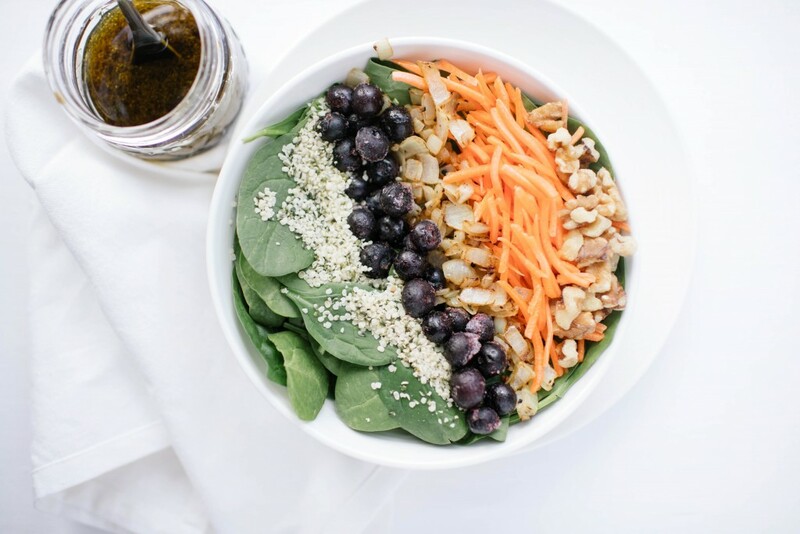 In a small bowl or mason jar, combine dressing ingredients and whisk or shake until combined. Toss all ingredients until well combined.